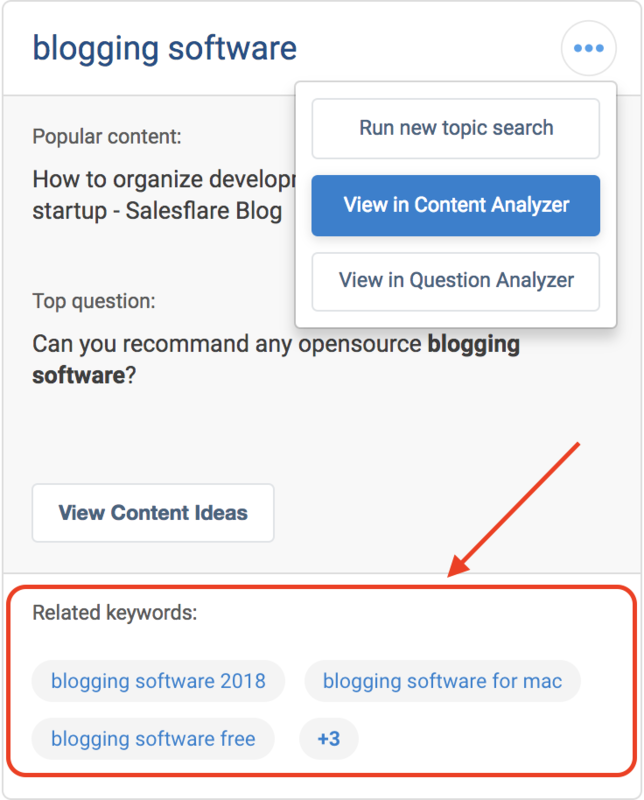 Generate ideas, search related keywords, and get insights into your audience's interests with our new Topic Explorer. What is the Topic Explorer? The Topic Explorer is a search tool for finding related topics and important questions for any subject area. Whether you are testing an existing set of topics or brainstorming new ones, it can expand your thinking, helping you uncover new ways to build great content that connects with your audience’s interests. Check out the short video below or read on! The Topic Explorer can be found in the far left of the navigation menu, within the Content Research section. We will then display a series of related topics, sorted by relevancy. Clicking on the article or the question will take you directly to that source out on the web. You’ll see an expanded list of relevant articles and questions. Switch back and forth between the two by clicking the tabs. Related topics also include suggested keywords, based on search behavior. Use this information to uncover long-tail keywords your audience may be searching for. Once you have a topic or topics in hand, you can dig further into the data sets. Next to each topic is a dropdown menu. 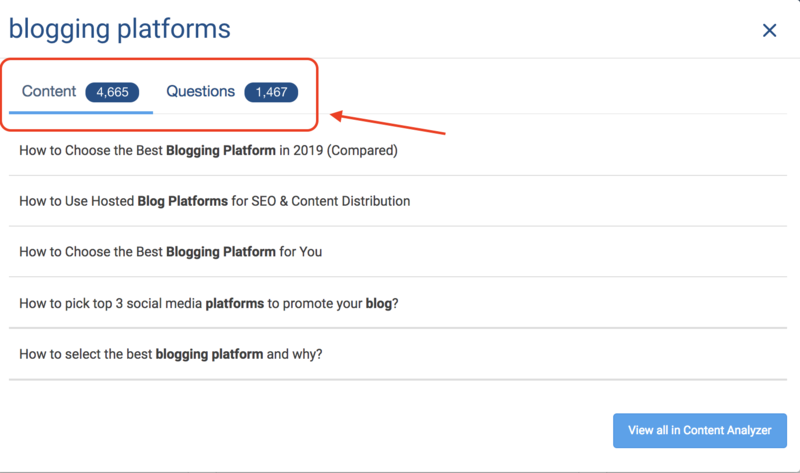 Clicking on this will enable you to view the larger content and question collections for this topic in our database (Access to the Question Analyzer is currently available on our Plus, Large, and Enterprise plans). For more insights into best practices and research strategies, check out our guide on How to Conduct Content Research. 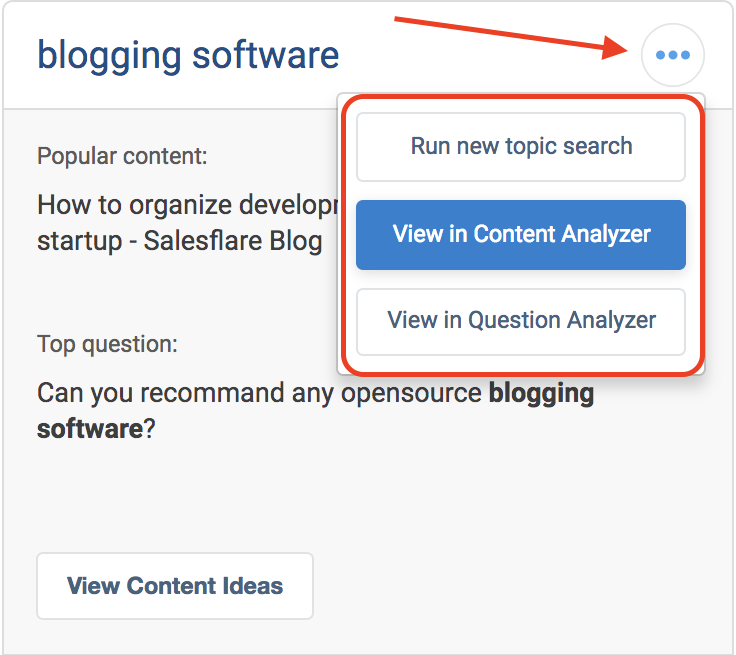 At any time, click "Run a New Topic Search" to replace your initial topic and keep the brainstorm session going. Suggestions for how to improve this article? Drop us a line.